Businesses which are thriving today owe their major chunk of success to the customer service representatives who work round the clock to address customer grievances or attract new clients. These professionals are important to any industry as they have the potential to turn prospective clients into long-term loyal clients. Employers look for candidates who pose people skills and the ability to interact with both pleasant and unpleasant customers in a way that only boosts business profits. The customer service department forms the backbone of any business as they go on dealing complex situations and handling complicated problems most effectively. Individuals who are empathetic towards customer concerns and take a hands-on approach to solve them or are able to take criticism on a superficial level are suitable to work in this domain. If you have all these skills and are a good communicator as well, then why not exhibit this knack to employers who might be searching for a candidate just like you. All you need to do is write a targeted resume that tells your story of excellent customer service skills. If you have what it takes to be in this sector, then let the hiring manager know your potential by following this simple template. Before you start writing any document, there must be a rough idea of what all things should be included in it. This means you need to fix a format and the way you are going to place the common sections in your document. It is necessary as this determines what you want the recruiter to see first – whether it's your skills or work experience. While employment history is the central point in a chronological resume, skills get the focus in a functional resume. The next section which must be given ultimate priority is the contact information. Though this is the most basic part of your resume, candidates often tend to make mistakes in this section as well. They are confused regarding how much and what all information must be included in this part. Just give your basic details – name, current residential address, a single contact number and a professional email address that you are likely to check frequently. With objectives now becoming rare, employers are now interested to know what a particular candidate has to offer. You are creating a resume because you need a job. This is quite understandable and hence, you need to show why you deserve the job. It could be done by writing a short 3 - 4 line para, which boasts about your quality traits, achievements or special honors received in the past. If you are just starting in this industry, add sentences about relevant skills to catch the recruiter's attention. As it is not possible to mention all the customer service skills in the career summary section, make a separate section to give your customer service skills their appropriate spotlight. If your skill-set matches exactly the job description of an employer, it won't take much time for a hiring manager to give you a call and fix an interview. The most desired skills for these positions are clear and honest communication, sympathy towards client issues, product knowledge, politeness , patience, attentiveness and much more. The best way to back your skills is to show how you used them at work. This could be done by mentioning quantitative accomplishments in the work history. As you go on listing different companies you have worked for, designation and tenure for each of them, under the company name write your major responsibilities and results. This could be improving customer satisfaction ratings or handling more than 100 calls per day when the workload was high. 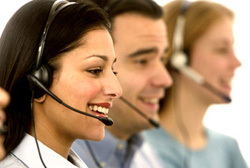 Employers are in search of customer service professionals who work beyond expectations. The resume becomes much stronger if you add numbers to it and quantify your results. It gives the hiring manager a clearer picture of your achievements. While there is no prior necessity that a candidate must have completed a particular degree to work in this field, he or she must have at least finished a high school diploma. Write the name of your degree, university or college and the year you got it. Apart from this, you can add extra activities relevant to the role you are applying for. This includes part-time jobs, volunteer activities or internships.